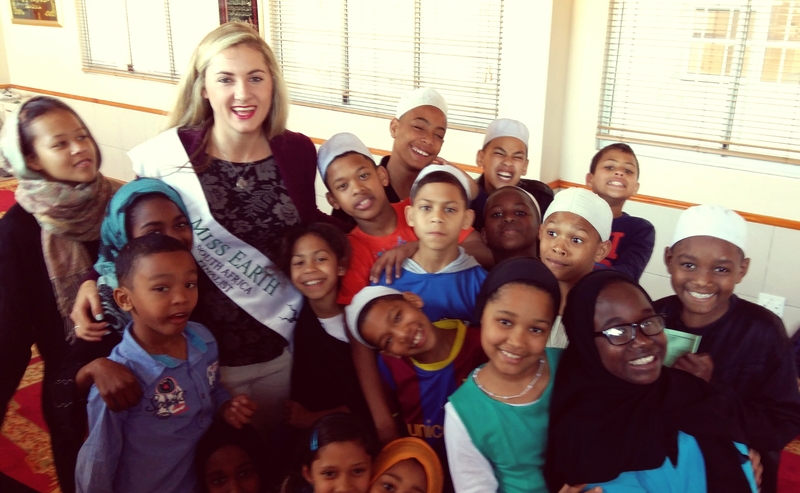 I visited the Vision Child and Youth Care Centre in partner with the Healing Earth Foundation, one of the Miss Earth South Africa long time partners and sponsors. The Healing Earth Foundation aims to nurture and develop conscious healthy earth children of all ages through opportunities that allow for connecting holistically with the self, the environment, and all beings. Their philosophy is baes on six broad pillars including Environmental education, Healing movement, mindfulness, metaphysical awareness and Self-development, Pampering and self-care and Spa wellness and education. their beneficiaries include schools, orphanages, old age homes, clinics and hospitals, community centres, animal welfare centres and therapy training centres, spas and wellness centres. The Healing Earth organisation is a premium African Spa Brand that offers natural, organic products, therapies and spa concepts. All Healing Earth products are free from synthetic fragrances, colourants, petro chemicals, DEA, preservatives and parabens. It was great to be a part of the workshop that Lara from Healing Earth gave for the children at the Vision Child and Youth Care Centre. We focused on forgiveness and life lessons with the teens and then sang fun songs with the younger ones. I helped facilitate the workshops and even learnt a few new things myself. The work that Lara is doing with these groups is inspiring and I truly believe that it is people like herself that make this world a better place! Thank you for having me Healing Earth Foundation!